How to create a welcoming atmosphere and build long-term, supportive relationships. How would a first-time visitor to your school describe its atmosphere? Is it warm and inviting? Or is it cold and unwelcoming? From the grounds, signage, and parking lot to the front office and the website, your school atmosphere is evident. Is it the message you want to present? While all educators focus their attention on teaching and other related educational support, we simply can’t overlook the fact that for our efforts to be effective, we must also create relationships and emotional connections with our students, their parents, and our community members. In this day of school choice and lots of options for parents and quality staff, providing outstanding customer service matters. Let’s take a look at some ways to make those vital connections. What is your school’s atmosphere? Curb enthusiasm. Some school principals actually make a habit of being out by the curb in front of their schools to open car doors for arriving students and to greet the students and the parents. Their presence at the “Kiss and Go” dropoff send a positive message about the school’s values. Walking the welcome. Other principals simply make it a habit to walk the hallways in the mornings and as school lets out. They have a smile and a few words for students as they come and go, and handshakes for those with a free hand. Not only does this mean a lot to the students, but it shows the rest of the staff what the administration values at their school. Make sure the entrances are well marked. Make maps or have guides available to help guests or volunteers get where they need to go. Make sure the sign-in process for visitors is clear and friendly (explain any complexities so visitors understand these steps are for the safety of the students). Create welcoming entryways and lobby areas. Consider posting student work, providing a kiosk with a slideshow of monthly student and staff award winners or other recognitions, or having students create a video that welcomes school visitors and shares their comments about why they love their school. Encourage all staff and students to take pride in a clean, clutter-free school (inside and out). Recognize those who demonstrate that school pride in their actions (e.g. notice a teacher or student who throws away or picks up trash they see). This area is particularly important. How a visitor is greeted is a clear indication of whether visitors are seen as intruders or welcome visitors. Staff in your front office who look up from their work and greet visitors with a friendly smile, ask how they can help, and address visitor questions and concerns quickly and politely, are worth their weight in gold (school customer service gold). How do you get this type of response from your staff? You train for it, of course. You also hire for it (happy people who recognize the value of good customer service and don’t feel it is beneath them or “not their job”). Treating people like individuals is quality service. We all value courtesy, honesty, and a listening ear. Tone of voice is a BIG part of your communication. Body language matters; a smile and making eye contact is an important part of face-to-face communication. Asking others about their needs is important to good school customer service. Everyone deserves friendliness—no matter how busy we are. Showing appreciation for others improves our work environment and may make someone’s day. Complaints aren’t fun, but they can help us improve our processes. Don’t be afraid to take responsibility or apologize. Remember: The goal is to solve the problem. Answer phones quickly. Smile when you talk to customers. Some of the phrases below are examples of common courtesies that we should all be using as part of our normal vocabulary—and especially with our customers. Your school websites are often the first impression you’ll make with prospective parents and prospective staff. Both of these groups need to see you at your best, so make this experience a memorable one. If it isn’t now, take another look at your site from the perspective of a website visitor looking for answers, and objectively see how your culture and atmosphere comes through. When a family is new to the area (or maybe has children reaching school age for the first time), they will want to learn as much as they can about the educational opportunities available to them. And your school probably isn't the only game in town anymore! So, you will want to take advantage of the powerful opportunity your website provides to market to them. Make sure you utilize your website as a way to greet and welcome new parents and students. Make finding out how and why to enroll their child in your school an easy choice. The best school websites will include an area on the website where parents can download the information they need. You can do this by creating PDF documents that a parent can print or view online. It may be as simple as a series of links to information that is already on the website but placed on a specific page that is easy to find (as in an area under category quick links labeled "Parents") called "Welcome Packet." Or, if you have an area on your main office website called "Why Choose Us," or its equivalent, then you can also put it there. Welcome letter. 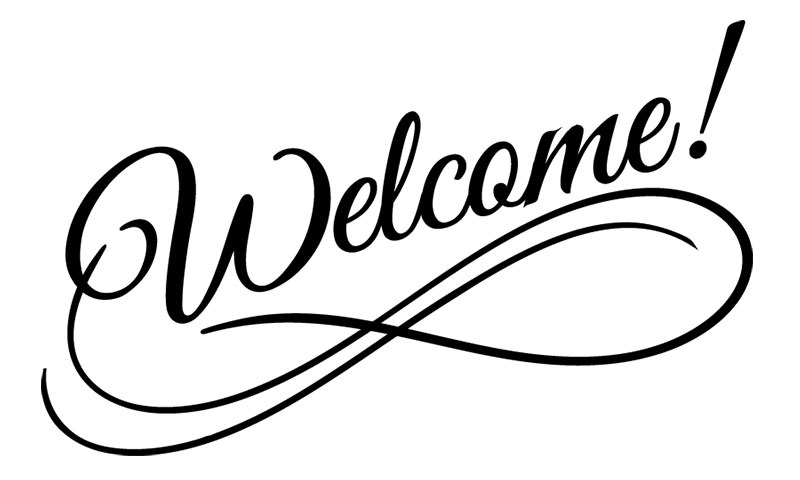 Could be from the superintendent, director, principal, or parent group president—consider adding a welcome video. School address. Include website address, phone numbers, office hours. School calendar. Make sure it is current and complete. Bus schedules. Keep them current. Staff list. Include emails, phone numbers, best ways to contact them, brief and friendly bios that are student-focused—not just a list of degrees. Administrator/Department contact lists. Include emails, phone numbers, and extensions. Food service options. Include prices, forms for free and reduced lunch programs, information about how to pay for meals. Student handbooks. These can be converted into a conversational and friendly FAQ page on the website that answers the most commonly asked questions that parents and students ask. If you are unsure about what these are, ask the secretary and the teachers—they answer the same questions over and over and can tell you what the most common requests are. School history. When was your school built? What does your school's name mean or why was it selected? Any awards or interesting history tidbits? Quick Facts. What grades are taught, how many students, how many staff, student-teacher ratio, year founded, geographical miles in district (if applicable), and any other facts that will highlight your differentiators. Testimonials. Add some parent, student, and teacher testimonials. You can scatter these throughout the other content or on the page as graphic elements to add third-party credibility. Enrollment information. Add prominent links to registration information and forms or the information about where they can get these forms. Be sure to include the information for kindergarten registration age, immunization requirements, and dates for any testing for entrance. Emergency notification information. How does the school contact parents in an emergency, and what are the typical processes for keeping students safe and parents informed? Parent group meeting schedules. Provide contact to the current year's officers or leaders as well as known meeting times and locations. Volunteer opportunities. Let parents and community members know what the school needs are and how they can help (and any clearance requirements). Links to curriculum or standards. Make sure this is available for each grade level (written with parents in mind—avoid any education-ese). Creating an inviting and warm atmosphere is worth any effort you give it (both in person and online). It is smart school marketing and excellent customer service. You are getting your message out, making your customers feel welcome and valued; you’re setting standards for the way your staff will treat one another and showing students how you expect them to act as well. Share with us what your is school doing to provide outstanding customer service and become the school of choice. We'd love to highlight your successes to several thousand administrators who subscribe to our bi-monthly blogs. Email me at Bonnie@SchoolWebmasters.com, and we'll toot your horn for you!